2016 toyed with expectations as many of the franchise blockbusters disappointed but the sleeper and creeper hits from around the globe satisfied cinephilic addiction. This year Jon watched 109 and Adam watched 108 new release films released in North America. This episode is dedicated completely to chatting about the year that’s been, counting down our favourite films and trashing the ones that disappointed. Now is the time for the usual disclaimer, this is a countdown of our “favourite” films of 2016, not a definitive “best” films of 2016. 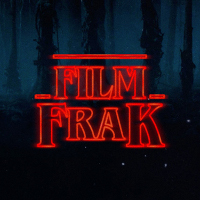 Expect more FilmFrak in 2017 as Jon and Adam continue to experience as many films as linear time will permit then broadcasting random verdicts for your discretionary assessment.